This section describes the SDK Sample project in detail and highlights the main features and use-cases of the Wikitude SDK. 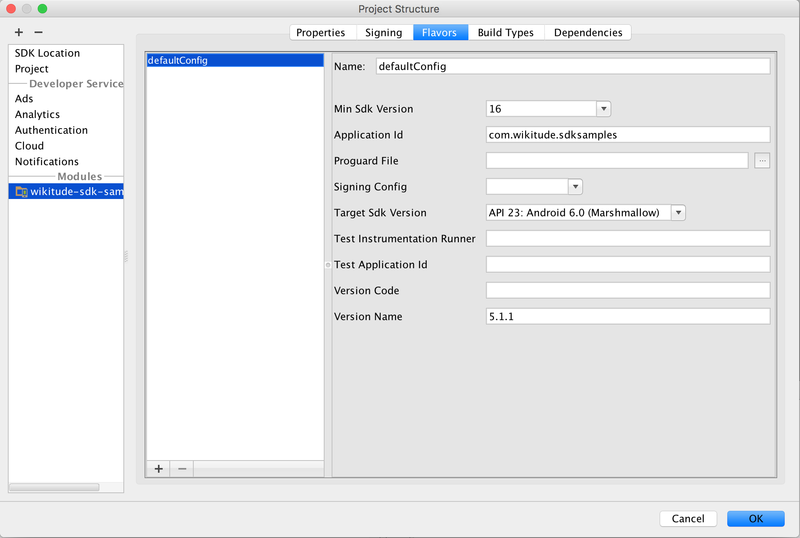 The project is part of the SDK bundle and is an Android Studio project, ready to run on any of the supported Android devices. Note: You cannot run Wikitude SDK project on Android Emulator due to OpenGL restrictions. Run through the setup guide, install the sample project on your device and scroll through the sample list. The project's asset folder contains implementation of the various ARchitect Worlds. Implementation of the native Android activities is available in the src folder. 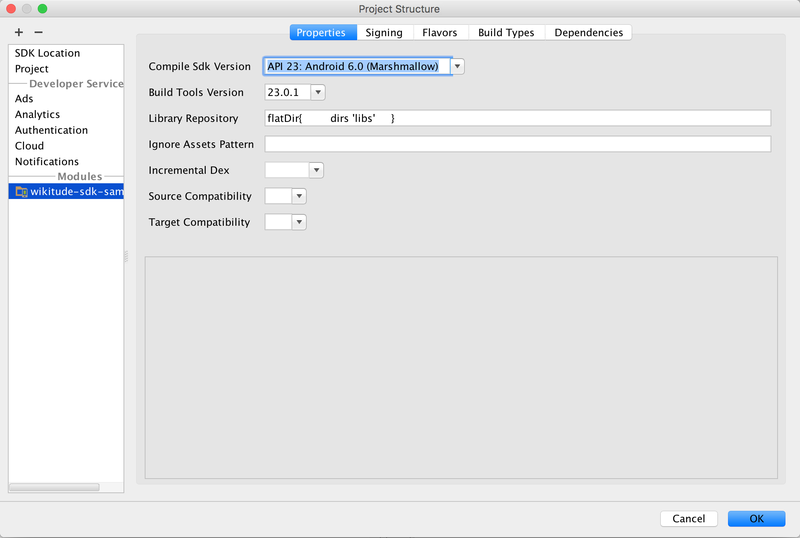 Download latest Android SDK and Android NDK(optional) through the Android Studio Bundle. 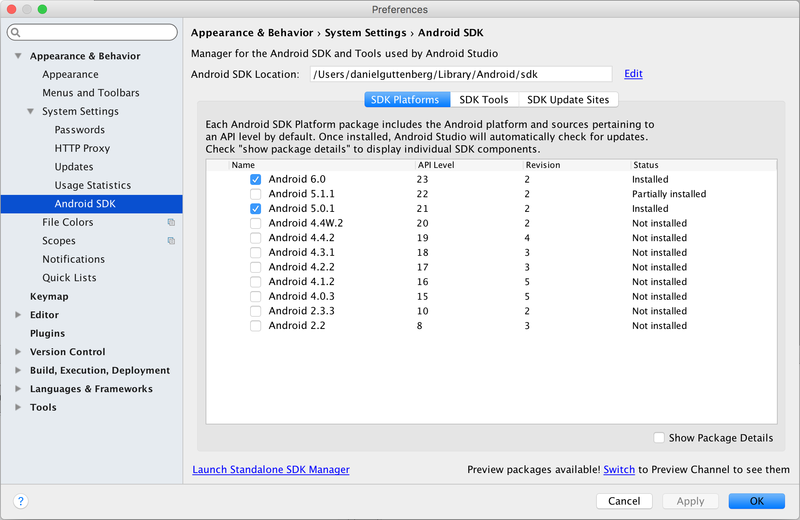 From the main menu select Open an existing Android Studio project which will open the import wizard. Navigate to the SDKExamples project folder in your filesystem. Click Choose to start the import. Right click on the project and select Open Module Settings. Under Properties and Flavors make sure you have an equally appropriate version selected.